FREE delivery to United Kingdom in 4 - 9 working days. 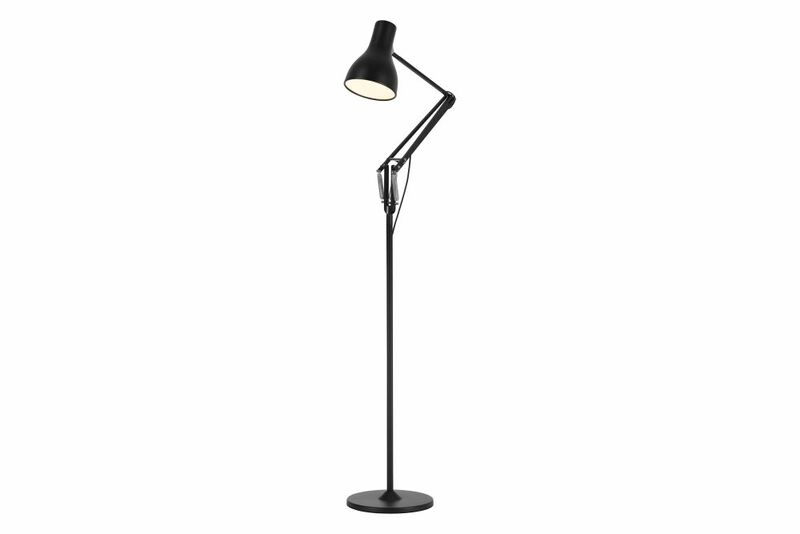 You’ll find our Type 75™ floor lamp makes the perfect reading light. It combines all the high quality fittings and features you have come to expect from an Anglepoise® with elegant, classic looks, flowing movement and full adjustability. With its clean lines, flowing movement and flawless balance, Sir Kenneth Grange’s Type 75™ reinterprets the original Anglepoise® design for the 21st Century. The pared-back aesthetic means that this six-piece range is at home anywhere, from hotel to home office; a fact that has helped to make the Type 75™ our bestselling collection across the globe. Design Director of Anglepoise® since 2003, Sir Kenneth Grange began his illustrious career as a technical illustrator whilst in National Service. He subsequently made his reputation as an industrial product designer and in association with four partners founded Pentagram, now an international design practice with offices in USA, Germany and London. Grange’s remarkable work spans half a century and his user-centered, often quintessentially British designs have helped shape the parameters of everyday life for so many. Not only everyday household brands like Kenwood, Parker, Kodak - and of course Anglepoise® - have received the Kenneth Grange treatment but also the InterCity 125 train, the regional Royal Mail postbox and the latest London BlackTaxi.